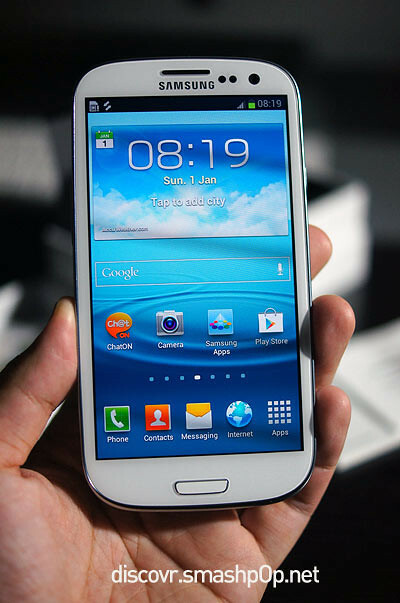 3 weeks ago, Samsung unveiled their latest flagship device, the Galaxy SIII at the Mobile Unpacked event in London and it became the talk of the town instantly. Many was wondering when it would be launched here in Malaysia. Well, it was launched last night at One World Hotel just 3 weeks after the global announcement and the RRP is RM2199. 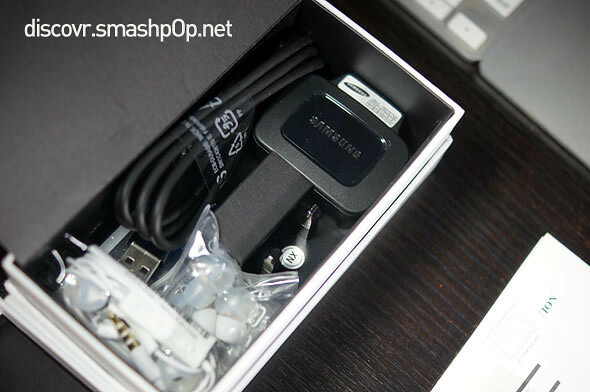 This is the MOST AWESOME unboxing video of the Samsung Galaxy SIII… and below are some detailed shots and info on the package. The box is very compact and it’s merely the same size as the phone itself. The minimalist design with only the device name printed on the front gives it a premium look. 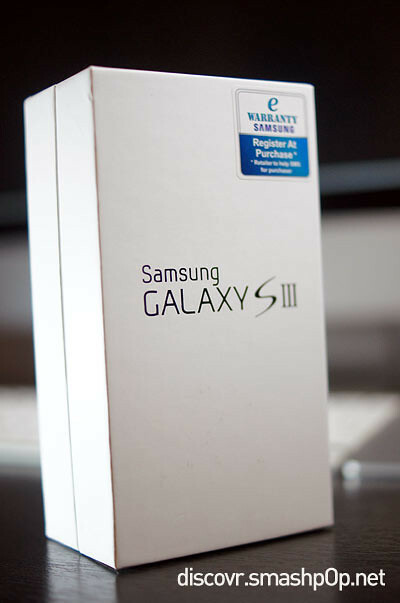 Lifting up the cover of the box reveals the Galaxy SIII in all its glory. With the familiar Samsung screen protector/sticker that illustrates some of the key features of the device. Below the device is where all the accessories were stored. 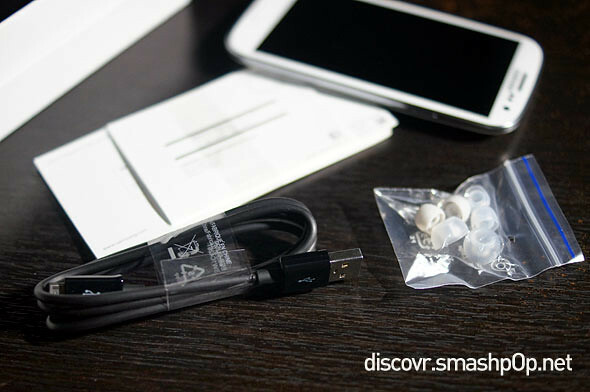 …USB cable and earphone earbuds. Switching on the phone for the first time reveals the awesome 4.8″ Super Amoled screen, with animations of water and nature. The startup time was very short, around 6 seconds, which is very good. 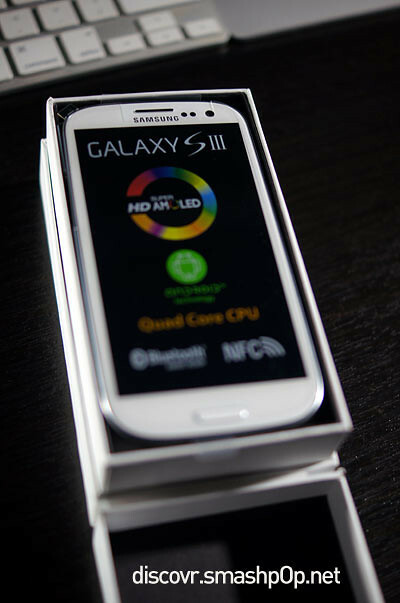 So there you go, the unboxing of the Samsung Galaxy SIII, launched in Malaysia just few hours ago. FULL REVIEW will be up very soon. Stay tuned and subscribe to http://www.youtube.com/user/smashpop for more videos. 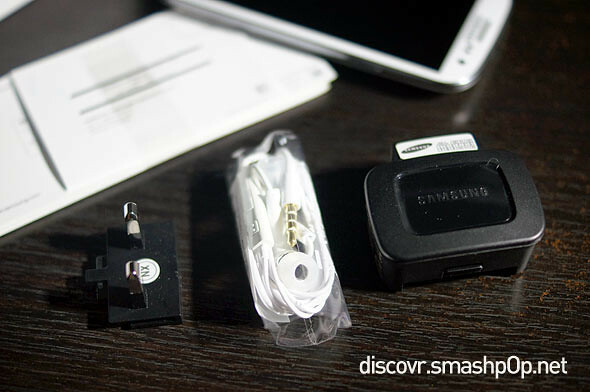 2 Responses to "MOST AWESOME: Unboxing of Samsung Galaxy SIII [video]"
Wow.. evil blogpost that will make ppl go buy one. Lol.